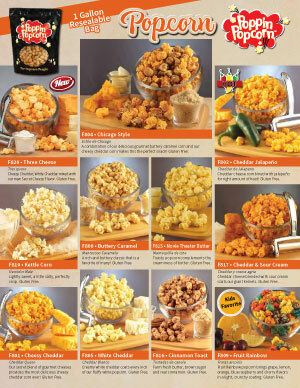 At Poppin Popcorn, we have a variety of brochures designed for every customer. 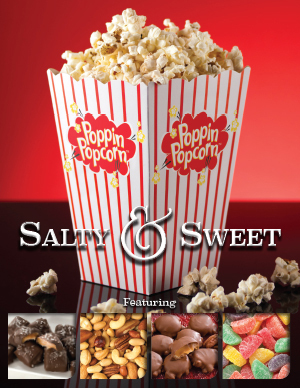 If you want candy and snack items with your fundraisers, then the Salty & Sweet or Delicious Snacks Brochures are for you. 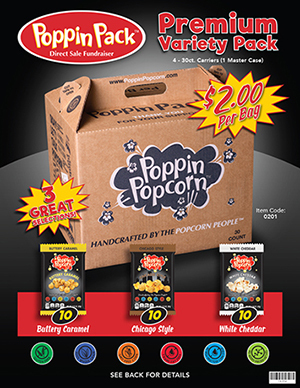 Our Poppin’ Popcorn Brochure showcases all our mouth watering flavors in large gallon bags, while our $10 brochure sells the half gallon bags. If you want a sampling of all our popcorn, half and gallon bags, then our Popcorn Shop Brochure has it all!